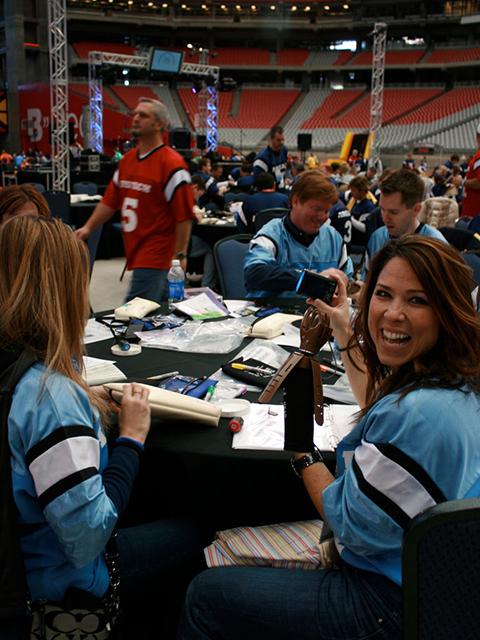 The Build-A-Hand Workshop is about discovery, inspiring your team, and giving back in a big way. 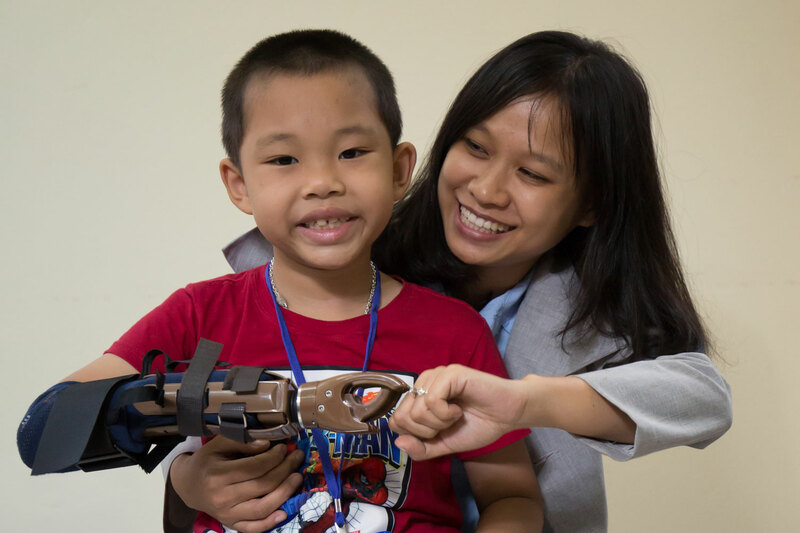 During this globally recognized, corporate team building program, your team will build prosthetic hands needed by hundreds of thousands of amputees around the world. We believe that life-changing moments are created while learning valuable lessons in purpose-driven work, customer-centric thinking, team collaboration, all in combination with critical teaming skills. 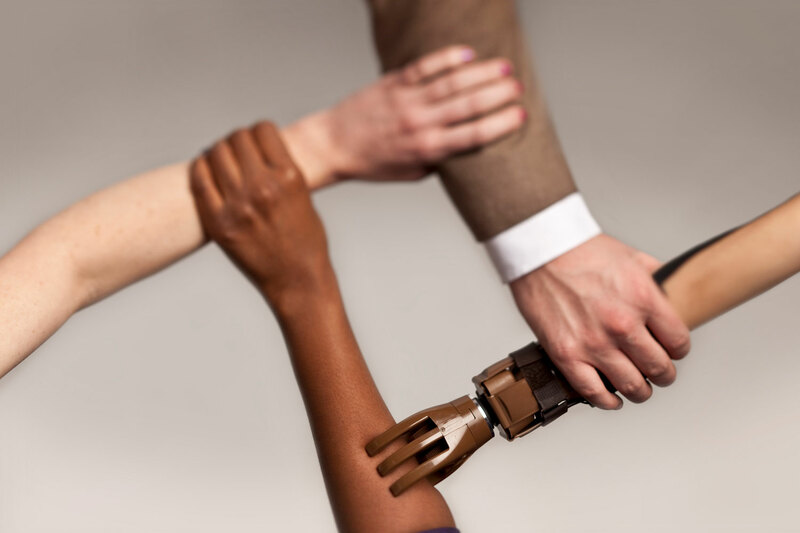 Working in teams, your group will experience the process of what its like to try and manage with just one hand as they assemble a fully functional prosthetic hand. 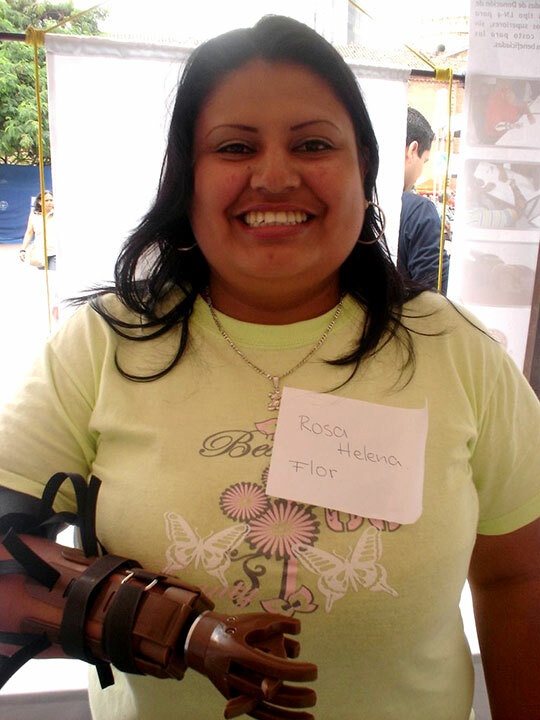 The Build-a-Hand Helping Hands Project is about perspective, inspiration, collaboration, and giving back. You will be part of a growing movement to connect your team to the “WHY” of their work, each other, and the world. This workshop begins with a fundamental understanding of improvisation as a tool for innovative thinking. 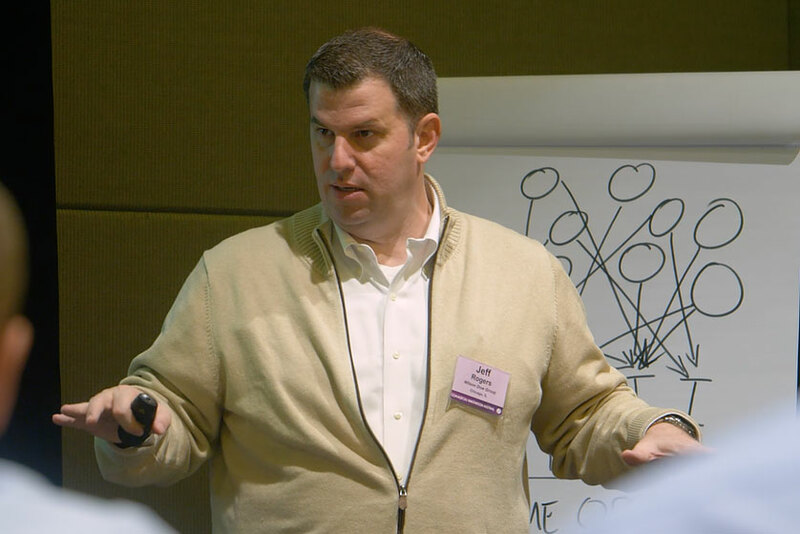 Improvisational courses are being taught in MBA programs at Harvard, MIT, NYU, and many more to help leaders become agile and open to solutions no matter where they originate. This workshop begins with a fundamental understanding of improvisation as a tool for innovative thinking. Improvisational courses are being taught in MBA programs at Harvard, MIT, NYU, and many more to help leaders become agile and open to solutions no matter where they originate. The Stanford D School process for innovative thinking is one of the best regarded programs of its type in the world. Combining these two pillars of thinking differently provides the building blocks necessary to create a sustainable culture of innovation. We will work with your stakeholder team pre-event in order to identify real issues your team is facing that will be used during our brainstorming portion of the workshop. 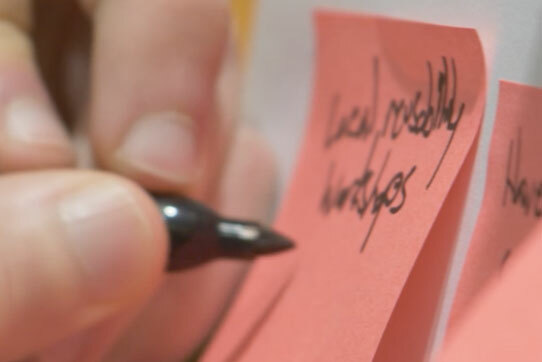 Your team will leave with anywhere from 20-30 actionable ideas that have been bubbled up by your attendees. This encourages investment and ownership by participants which is the first step towards adoption and execution. Experience is the best way to learn, but it can be slow, risky and unpredictable on the job. Instead, you can give your people that valuable experience in our workshop, where they're challenged to roll up their sleeves and learn the "what's", "why's" and "how's" of innovation and change. Playmakers are in a constant state of calm readiness. Ready to tap into their experiences and knowledge on diverse topics in a moment’s notice while connecting disparate thoughts to create breakthrough solutions. Improvisation is the perfect tool to practice innovative thinking. Why is an innovative culture the single biggest factor in a competitive marketplace? Because AirBNB, Uber, and Netflix have shown us that disruption can come from anywhere. Organizations best equipped to face today’s world are those that are able to embrace uncertainty and find creative solutions. This is what keeps businesses ahead in the marketplace. You need to empower your team to generate and execute bold ideas. But how? Let me teach them how to be PLAYMakers and unleash the innovation powerhouse lurking in your most important resource: your team! For the last 25 years Jeff Rogers has been sharing his PLAYMaker techniques through improvisational exercises developed to enhance listening skills & communication, foster collaboration, and promote a sense of good, old-fashioned enthusiasm, we provide a unique program that is suited to any group, meeting, or function that wants to combine learning with creativity. These exercises have been utilized by companies ranging from GM, who used these exercises for seven years as a part of their employee orientation to Major League Baseball who used these exercises for their incoming rookies to teach them how to be great athletes off the field as well as on. 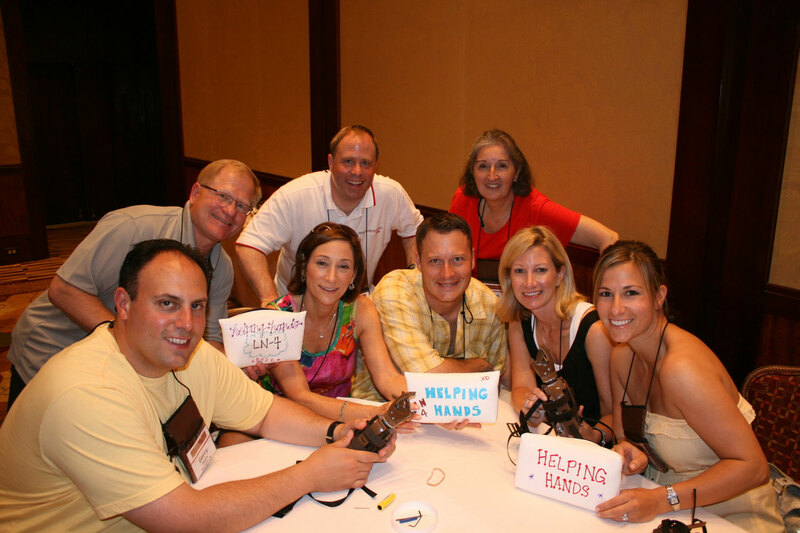 All of our clients who have instituted these ideas and exercises have found great success. Now, Jeff shares the Four Rules to reach this level of innovative clarity using a simple mindset found in The Power of PLAY. Our approach does not presume that there is one "proper" way to present, nor does it focus merely on presentation mechanics. Instead, we help people gain confidence in their own voice and become strong, authentic communicators. Studies have shown that audiences in general only pay about 10% of their attention to the words a presenter is using. They give 20% to visual stimuli such as PowerPoint or a musical instrument. Shockingly, 70% of a given audience is “listening“ to the presenter’s body language or HOW a presenter is coming across. Unfortunately, most presenters believe that reading the bullets off a PPT slide constitutes a good presentation. With just a scant amount of pre-event coaching, presenters will be empowered to use their best attributes and the knowledge they already own to deliver an engaging and thought provoking PLAY-sentation. 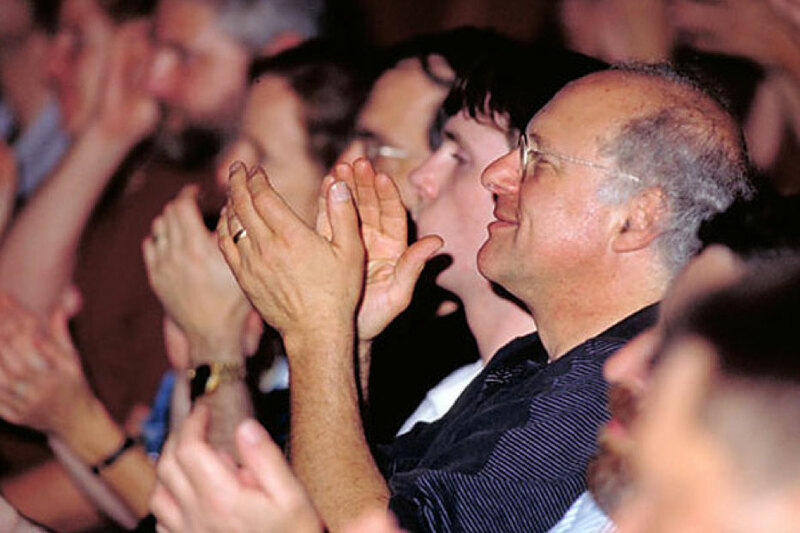 What do you expect your audience to do differently after the presentation? What does the audience think and feel about this message? 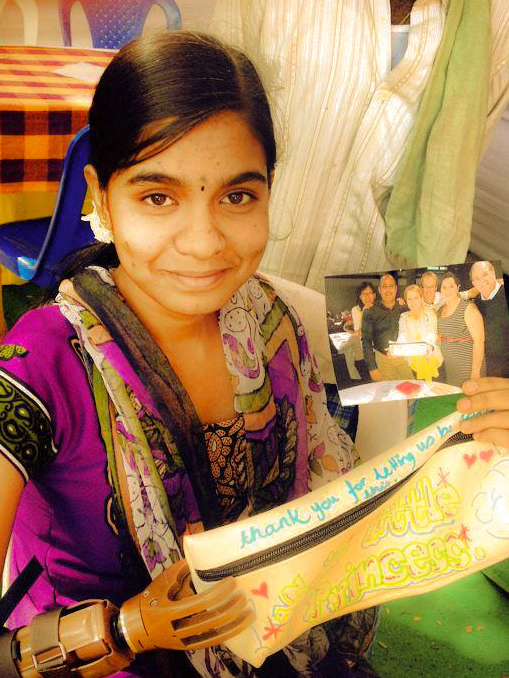 We help people gain confidence in their own voice. Workshops will consist of improvisational and performance exercises that strengthen an individual abilities and define their speaking style. These exercises also include some standardized processes that support overall speaking proficiency.